Welcome to Foxbank Farm, one of the last remaining strongholds of what is arguably, one of our nation’s finest rare breeds of sheep. 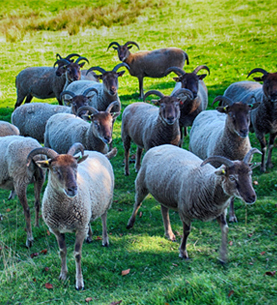 The Castlemilk Moorit is indeed a true forgotten gem on the British sheep farming landscape. A noble beast that refuses to be hurried. A reminder of how farming used to be and a beacon to those who still value quality and flavour above all else. 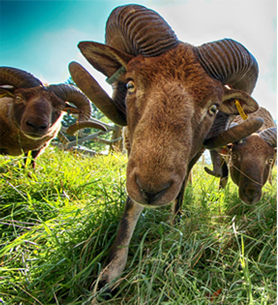 Foxbank Farm and its award winning flock of Castlemilk Moorit sheep, are your gateway into a forgotten world of high quality meat, exquisite fleeces and the very best livestock available today. 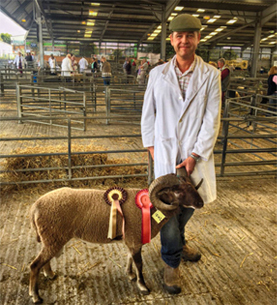 If you are thinking of starting your own flock of Castlemilk Moorit sheep or perhaps you are a hand spinner searching for a unique and high quality raw wool, then you have come to the right place. 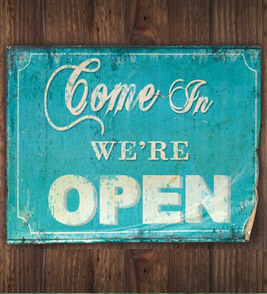 We will do all we can to offer you helpful advice and assistance and ensure that we match the right resource to your individual requirements. If it is the very best pedigree british lamb, hogget or mutton that you require, then you have stumbled across one of the finest flavoured meats that you are ever likely to taste. Castlemilk Moorit meat is a rare and precious thing. It is to the sheep gastronome what Aberdeen Angus and Wagyu are to the beef connoisseur.